on-screen telemetry display on radios with my matching FrSky mods! Comes with a standard 2dB Omni antenna (like most radios have). Also available is a 5dB Omni, and a 7dB Patch Antenna for increased range! Sensors that are available for reporting telemetry data back to your radio (on-screen if using the correct radio)! 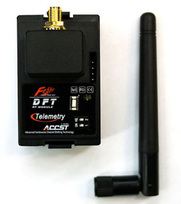 This is the FrSky DFT Tx module. 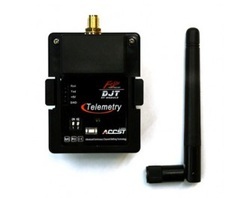 Sensors that are available for reporting telemetry data back to your radio! hundred times per second and there is no signal conflicts and interruptions) robust frequency agility. - Easy to bind and very fast link-up. - True Diversity with two antennas. - All channels can be programmed with Failsafe, quickly and easily. - Quick and extremely stable in performance. - Precise and smooth servo response. 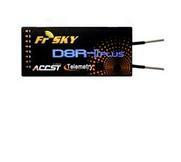 This is the top of the line FrSky 2-Way 8-Ch Telemetry receiver. It will also do CPPM for Multicopters, and has an RSSI output pin! 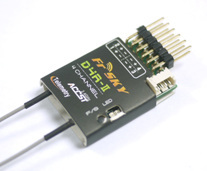 Firmware upgradeable using Frsky USB-3. Very similar to the D8R-XP except without CPPM and RSSI. Actually, with a firmware upgrade (using Frsky USB-3.) it will also do CPPM + RSSI, so it looks like identical hardware with different firmware...a great value! A nice and small 4-channel 2-Way telemetry receiver! Also does 8-Channel CPPM with RSSI pin! 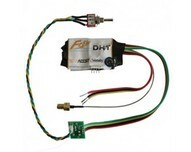 Ideal for UAV's and any Flight Controller that accepts CPPM input. 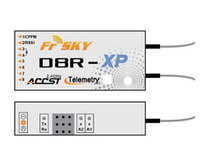 Firmware upgradeable using Frsky USB-3. You can not connect a sensor hub or any other device that requires a data port. Not sure which receiver you need? Too many options? Unfamiliar lingo? Don't worry, just drop me a note and I'll help you figure it out!